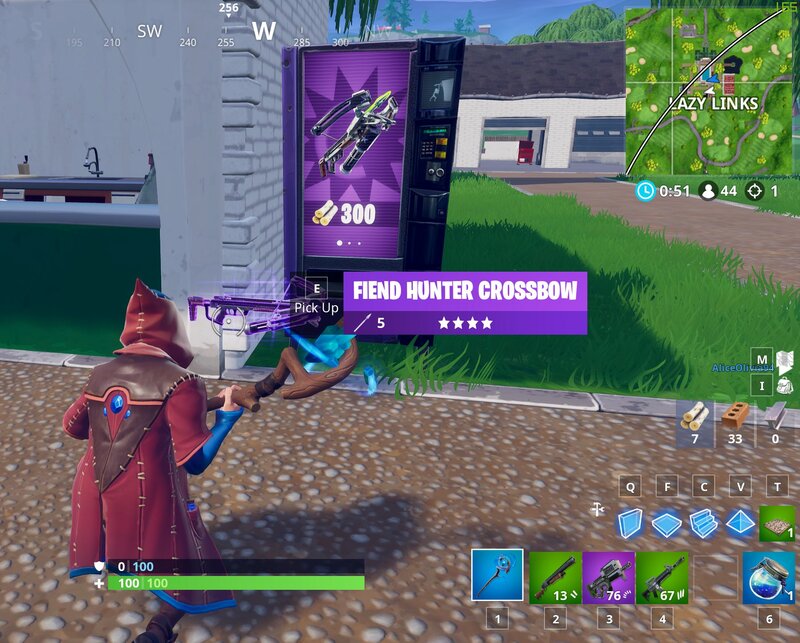 Vending Machines are now dispensing Crossbows, likely due to the Zombies returning after the Ice Storm Event. Fortnite’s playlist API endpoint has been updated with data for the upcoming Ice Storm Live Event, it seems new Limited Time Modes will go live shortly after. New data shows that a Winter variant of the Deimos event (Fortnitemares) will be activated just 5 minutes after the Live Event is expected to begin. 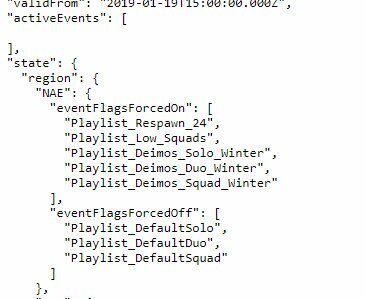 The Winter Deimos event will likely activate the previously leaked Ice Storm Challenges and an Ice Storm LTM, as the standard Solo, Duos, and Squads playlists will be disabled. The event which is expected to activate the Challenges and LTM goes live on Saturday, January 19th, 2019 at 2:05PM Eastern. It is set to end on Tuesday, January 29th, 2019 at 5:00PM Eastern. It’s also worth mentioning that the standard Solo, Duos, and Squads playlists are set to be disabled at the same time which the Winter Deimos event activates. It’s not yet known what the Ice Storm LTM may entail, though previous leaks suggest that Winter variants of the Zombies seen during Fortnitemares will return. Do keep in mind that this is a leak, which means there is a possibility nothing happens as expected and detailed above. This event could only active the Ice Storm Challenges. What are your thoughts on the possibility of the the Cube Monsters / Zombies returning alongside the upcoming Ice Storm Event? Many players are upset with this idea. Stay tuned to FortniteINTEL.com / @FortniteINTEL for full coverage of the Ice King’s Ice Storm In-Game Event!